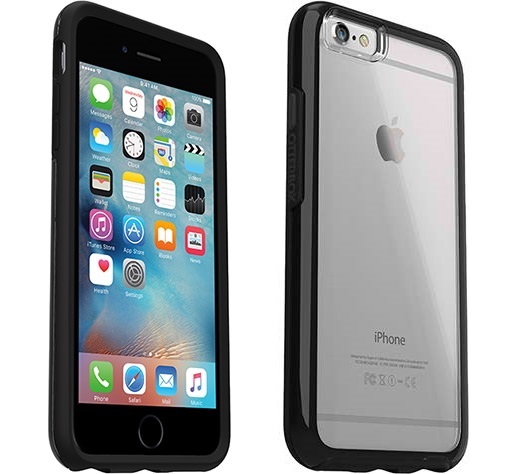 A protective case is a must-have for expensive phones like the iPhone 6 Plus and the Otterbox brand takes this very seriously. 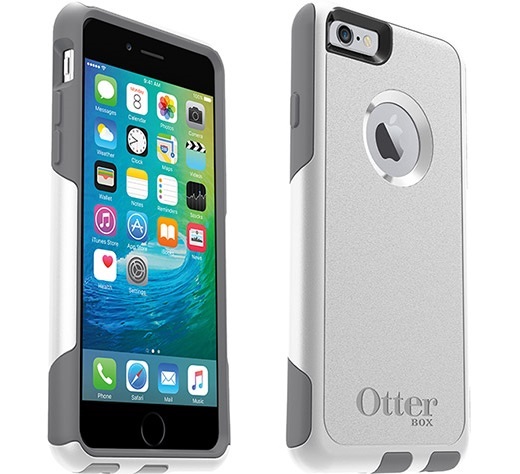 So today we will be reviewing the Top 4 Otterbox cases for iPhone 6 Plus. Otterbox is the #1 selling case brand in the US. 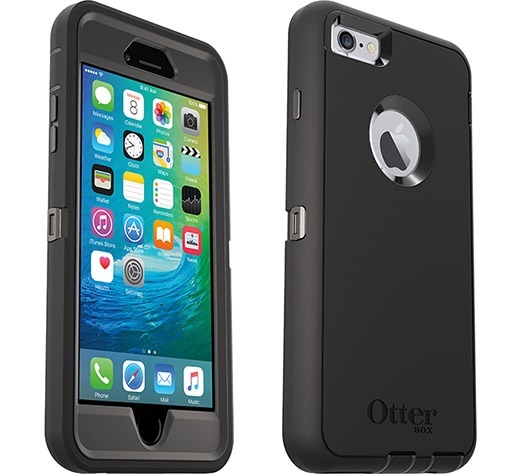 Unlike other case brands, Otterbox focuses only in making the best protective cases by doing rigid testing, so they really put their best efforts in providing high-quality cases. They also have an excellent customer service and they quickly respond to customer queries and complaints even in online stores like Amazon. The criteria used to rank these cases is the same criteria used to rank other phone cases in this website. So now low let’s take a look at the Top 4. The most striking feature of the Symmetry Series is the clear, slim, sleek, and stylish design. It is very comfortable to hold because the sides are made of durable rubber and plastic which is good for protection. 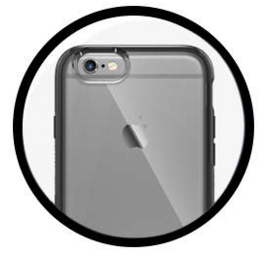 The back of the case is made of a clear material that is smooth but not slippery. 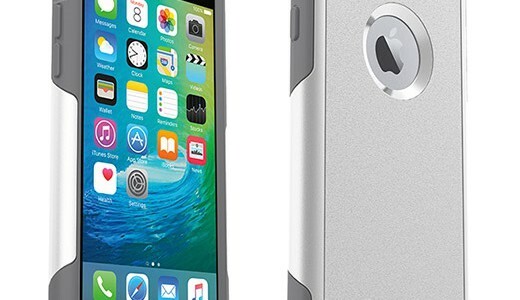 The iPhone 6 Plus is already a big phone so putting it in a bulky case will make it less easy to hold. One of the primary reasons people bought the iPhone 6 Plus is the beautiful color and design. I am one of those people. 🙂 So covering it’s back with a case that is not clear just defeats the primary reason for buying it. But if you don’t want a clear case because you don’t want other people to see the brand of the phone you are using, there is a non-clear version here. Although the back of the case is clear, it is made of polycarbonate and not just cheap plastic. It has a high degree of scratch resistance, contrary to the term “scratch-resistant” as advertised. So the case may still get little scratches from drops. This is when the warranty becomes very useful. Each case is identified with a Serial Number so it is not difficult to identify your product during warranty verification. Personally, I only buy clear cases if it’s scratch-resistant because based on experience, scratches do not look good on clear cases. The dirt that gets in the scratches is more obvious than in a colored case. And you will have to remove and clean your case all the time which is not very good for your phone. Are the Buttons working fine? When it comes to buttons and port access, the volume buttons work fine while the power button is a little difficult to push. The ports for the lightning and ear jack work great if you use the original cables of Apple. If you use a third-party headphone or charger with a wider base, it may be difficult or impossible to put in. The case fits perfectly which makes it easy to install but difficult to remove which is contrary to what is advertised. So removing the case often in order to use third-party accessories is not advisable. This case provides good but not great drop protection. The screen of your phone will not be fully protected from scratches so you need to buy a separate screen protector. To ensure that the screen protector works with the case, it is best that you get the Otterbox Alpha Glass Screen Protector. The retail price is $49.99. It’s a little high for its features. With $49.99, you can already get the Incipio Performance Level 5 which provides a scratch-resistant front and back cover, dust protection, and the best military grade protection among the Incipio cases. The main advantage of the Symmetry case that you will like over the Incipio case is the clear, slimmer, and lighter design. If you really like this case but also feels it’s price a little high, you can still get the case at a discounted price in Amazon. When buying from Amazon, Otterbox advises that you make sure that the case is being “shipped from and sold by Amazon.com” and not by a third-party Amazon reseller to ensure that it is 100% authentic. If you are fine with getting a separate screen protector, ports are not protected from dust, but you will have a super slim case, this case is perfect. It will not hide the slimness and beautiful color of your phone and it will also provide a decent drop protection. If you want more customer feedback, you can also read hundreds of customer reviews here. The most striking feature of the Statement Series case is the design that is made of a combination of genuine leather and clear material. This is perfect if you want a case with a leather accent but still shows the phone’s color. Except for the genuine leather, the rest of the case also has a high degree scratch-resistant like the Symmetry Series but note again that it can still get little scratches from drops. So avail the warranty when this happens. The screen is still not protected from scratches so you still have to buy a separate screen protector. It provides the same drop protection and it’s still at the same retail price with the Symmetry series. It still has no dust protection so you may have to clean the case every other week. It also works fine with the volume buttons. The power button is still a little difficult to push, the silent switch is a little deep. And it is still advisable that you use iPhone accessories for the power and ear jack. The Statement Series is as slim and light as the Symmetry Series and provides the same drop protection. The only difference is the leather accent that adds more beauty and style. The most striking feature of the defender series that you will surely like is its awesome drop protection. It deflects and absorbs the drop impact so even if you drop your phone from 10 to 15 ft, it will still be unharmed. At a retail price of $69.90, you will definitely get the high level of protection you paid for. When it comes to the design, I personally think it is beautiful. It is not clear at the back but I like that it still shows the iPhone logo. 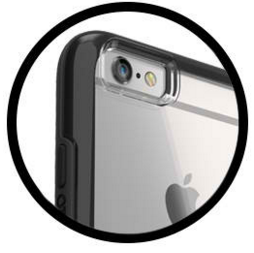 Unlike the previous cases, it provides full scratch protection so you don’t have to buy a separate screen protector. It is important to note that you can’t just take off the screen protector because it is part of the case. Due to the toughness of the screen protector, the screen sensitivity is a little bit reduced and you have to press a little harder than normal. Worried about dust getting in your phone? It also provides dust protection, unlike the previous two cases. It tightly plugs the ports of the iPhone when not in use so you don’t have to worry about any damage from dust buildup. It is a little bulky but compared to the other brands, this case will still look slim. When it comes to the buttons, the power and volume buttons will be a little hard to push. 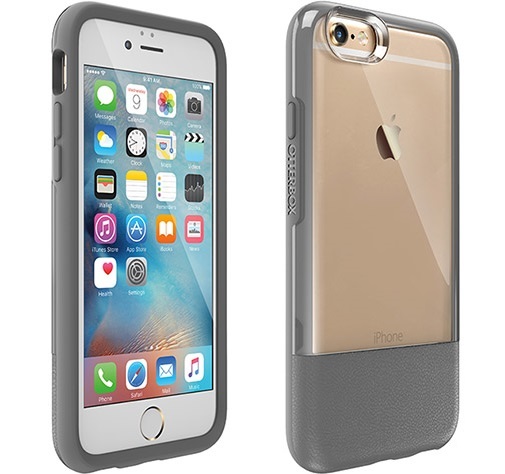 I personally don’t find the case too bulky and the added weight is acceptable for the highest level of protection the Otterbox brand can offer. If you don’t like the added bulk to your iPhone, you may try the Commuter Series (Rank #1). It is not as rugged as the Defender series but it provides better protection than the two cases above. If you want the best drop protection for your iPhone even from 10 to 15 ft drop height, this case is PERFECT! There will be some added bulk and weight but it will provide you with a peace of mind that your expensive iPhone is always safe. If you are still not sure if this is the case for you, you may also read thousands of customer reviews here. The most awesome feature of the Commuter Series is its better drop protection and awesome design at a cheaper price. Even if you drop your phone many times into a hard surface at 6 ft drop height, it will still be protected and will still work fine. Although it is not a clear case, you will still like it because it still shows the iPhone logo at the back so it does not totally hide the identity of your phone. It has a high degree of scratch resistance and even if little scratches appear from drops, it won’t be that obvious because the case is not made of clear material. It less bulky than the Defender Series. I personally consider this as a lightweight slim case so it is more comfortable to hold than the Defender Series. It may not be as slim and lightweight as the first two cases above, but you should definitely choose this case if you are very prone to dropping your phone. 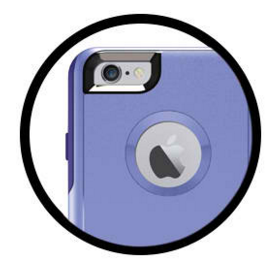 Like the other Otterbox cases, the tight fit makes it easy to install but difficult to remove. If you want to save from future repair costs due to dust buildup, this case is perfect because it also provides dust protection like the Defender Series. It plugs the ports of the phone so it will keep your phone totally new. The retail price is $44.95. It’s cheaper than the first two cases above considering the better protection it can give to your phone. So it’s really worth it. 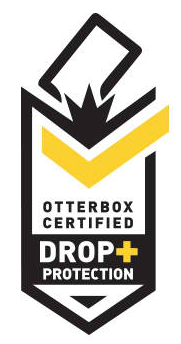 You even get discounted prices in the OtterBox store in Amazon. It also has its own stick-on scratch-resistant screen protector so you’ll save more additional bucks for your screen protection. And because it is stick-on, you can replace it anytime you want. Unlike the first two cases, the lightning and the ear jack area can fit most cables of various brands. The silent switch is also easier to access and the power button still works great. The Commuter Series provides drop, dust, and full scratch protection but with less bulk than the Defender Series. It has an awesome design that is stylish and allows easy access to ports and buttons. Even if it has several advantages over the first two cases, the price is cheaper so you will surely get your money’s worth. If you want to read more customer reviews, there are thousands of customer reviews here. 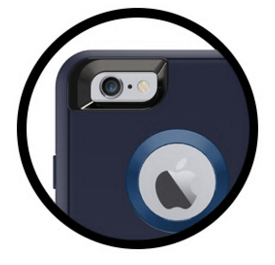 Amzer Crusta for iPhone – Better than Otterbox and Griffin cases?